Another impressive display of goldsmithery. What we love about this piece is how it has a modern touch with a white gold shank combined with a traditional look of the rose gold head. 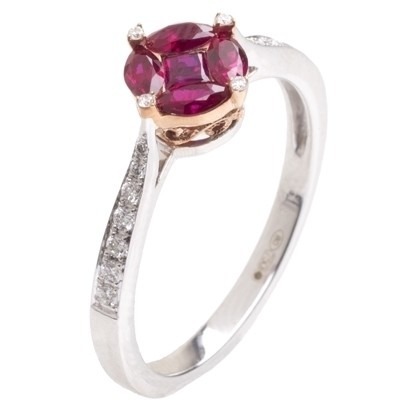 Our craftsmen has carefully set rubies and diamonds to delivery soft hues and vibrant flare. Treat a loved one today with this unique piece.